Are you at wits end? Is sleep deprivation making you edgy? maybe even fighting with your spouse? Are you just not sure if you're doing the right thing for your baby? After The Birth's Doulas, NCS's and Sleep coaches can lead you through these troubling times, put you at rest and put your world back right side up! After the Birth provides Postpartum services in the Las Vegas valley, So California, and the S.F. Bay area. 24/7 care is available throughout the United States. 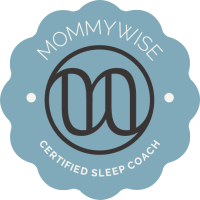 And our 72 hour IN HOME sleep coaching is available nationwide. If you are ready to get re-acquainted with your pillow, click the link below to start a no-strings attached, No Obligation Sleep training assessment. After the Birth is very serious about only providing trained and competent personnel to care for your most precious possession. Chris is trained thru CAPPA, DONA, NCSA, Mommywise, and Dr. Harvey Karp. She is certified thru CAPPA, Mommywise, Dr Karp, and is an authorized instructor for the NCSA. All our personnel have undergone training in several competencies. For information on Chris go to the About ​ page.